Cloud computing: WHAT IS CLOUD COMPUTING AND CLOUD ERP? Cloud computing has become the most popular trend in the recent years. It is generally assumed that soon it will be used by most companies in the world. It is unstoppable. Taking into account its multiple benefits for organizations, starting from reduced costs to ensured security and data protection, cloud computing is recognized as the future of all areas of business activity. In the cloud-based model, applications, data, files are stored “in the cloud”, which means servers dispersed in multiple locations worldwide, outside local and company networks. The cloud is an unlimited data warehouse. Using it, you can forget about purchasing and maintaining local servers. The infrastructure is maintained by a cloud solution administrator. Cloud computing has been evolving in a natural way. The anxiety it triggered a few years ago has almost disappeared. Presently, cloud computing is perceived in the light of benefits such as mobility, security, savings, convenience and scalability. Azure helps protect your assets through a strict methodology and a focus on privacy, security, compliance and transparency. With the Microsoft Azure platform, it is possible to combine cloud and on-premise environments within a hybrid solution. The platform ensures maximum mobility and a fast return on investment. Microsoft Azure ensures access to many well-known tools and open source software that enables easy integration and customization. It also supports multiple programming languages, operating systems, platforms, databases and devices. 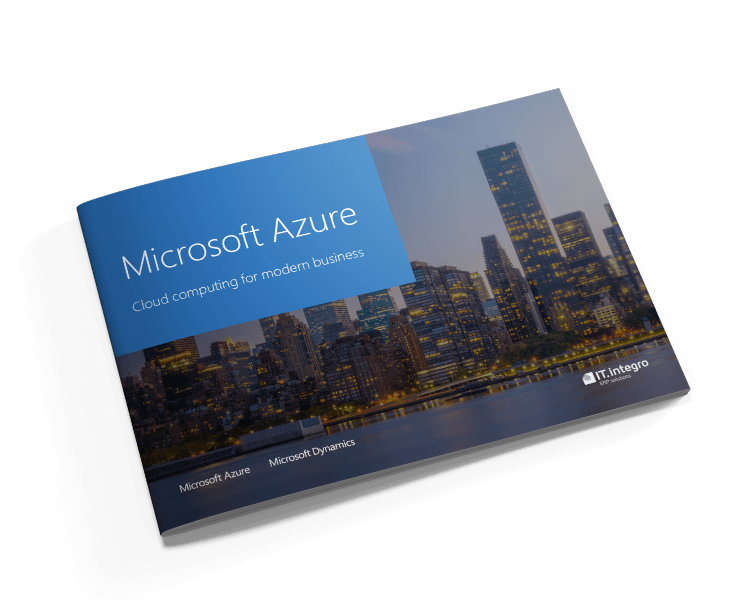 Microsoft Azure ensures scalability, enabling you to manage increased data volumes, multiple applications and solutions based on open source technology. Unlimited capabilities for building a hybrid solution on the platform encompass the infrastructure, data, user identity, applications and management. The Azure Stack service enables you to use all Azure capabilities within your local data center. Having access to Azure Portal, PowerShell and DevOps tools, as well as local and cloud-based application models, the user is able to build their own hybrid solution. Cloud services empower your organization to extend its global reach, providing you with intelligent tools to operate in multiple countries and regions worldwide. The cloud platform is based on the network of Microsoft data centers located across 38 regions worldwide. Ensuring insight into all user’s resources on the platform, Azure Security Center allows you to prevent and detect safety threats, as well as to remove them. It provides higher control over the security of all your Azure resources. The Azure cloud offers the most comprehensive compliance coverage with 50 compliance offerings. Azure has been recognized as the most trusted cloud for U.S. government institutions, including a FedRAMP High authorization that covers 18 Azure services. Microsoft Azure is a platform where you can build both internet-scale applications or simple mobile apps. In each case, you have a set of integrated tools, APIs, and analytics on hand to perform deployment and iteration faster and easier. To manage your apps proactively, you need a comprehensive insight. Using Azure Portal, Application Insights and Operations Management Suite, you can get a complete overview of your resources and processes. This way you can monitor and iterate your applications and systems effectively. DevOps tools facilitate building mobile apps for different devices and operating systems. Using artificial intelligence capabilities in the cloud, you can benefit from new opportunities to enhance your collaboration with customers. With Cognitive Services and the Bot Framework platform, you can develop a natural application interface to meet your customers’ expectations. Predictive analytics services such as Machine Learning enable you to make more accurate decisions and uncover new possibilities based on information you possess, which can include structured, unstructured, and streaming Internet of Things data. Your ERP and CRM systems, web, and big data are sources of information critical for your business. Integrated apps and tools such as Power BI and Microsoft Excel provide valuable insights from these sources. Using this information, you can develop and implement the most effective strategy. Using the coherent environment of the Web portal, you can set up both simple and complex projects. The deep integration of services within the cloud enables you to develop and implement custom applications, optimizing your management efforts at the same time. Microsoft Azure empowers you to build your customer network worldwide by launching personalized and scalable digital campaigns. You can reach your customers at any place, using any devices. Using the Azure capabilities including a reliable, personalized and scalable retail environment, you are able to successfully address the needs of your customers. The platform enables you to streamline business decisions using advanced analytics. You can create your own IoT by linking resources, devices and sensors to collect data. It is possible to create and provide scalable and reliable applications for customers. With real-time access to all necessary data, you can make fact-based decisions. Microsoft Azure offers solutions for effective management of business data and analyses, including development tools for SaaS applications. Wherever you store your data or application, Azure ensures the highest protection. You can manage more data, meeting all data security requirements and retaining the same flexibility and analytical capabilities. With a set of services and tools, you can easily build and test your applications. Rigorous protection of your IT system does not have any impact on the performance of applications, even at the maximum usage. You can seamlessly integrate your applications, data and local processes within the cloud. SharePoint servers can be implemented fast, ensuring scalability for increased demand. By combining your ERP system and cloud services, your company can grow faster. Unlimited resources available on Microsoft Azure enable you to scale your solution for increased efficiency of computing processes. You can provide your customers with high-quality videos and images at any time in any place. On Azure, you can develop games, as well as share and scale for many platforms and devices. Using advance analytics, you can also improve the products. You can experiment with new business processes using a fast, efficient and reliable platform.